Do you advertise in TV programs that you watch? Radio stations that you listen to? Billboards you drive by? You may be making a huge mistake if you do any of these. 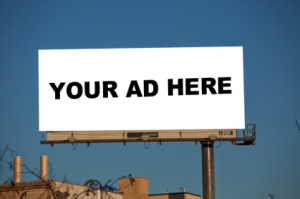 Throughout my professional career in attorney advertising, I’ve watched many smart business owners spend their advertising dollars trying to reach themselves. This is a common mistake because they place their advertising dollars in places and programs they like instead of looking at who their consumer/clientele really is. Although you can make a good decision by accident wouldn’t you rather know and feel confident that the dollars you are spending have the best chance of making a sale or getting a new client? There are many research and rating tools out there that legal marketing/lawyer advertising professionals have access to. They can use these to maximize your advertising dollars and reach your actual target customer, instead of only reaching you. For example, you’re an auto dealer who sells sports cars and you buy a commercial during the noon news on the TV station you watch every day. If you dive into the research and look at the demographics of a noon news program you will see that the primary viewers are stay at home mothers and females 50+. Sure, you may get a couple of sales out of it but if you spent those dollars in another program that reached Men 18-54, I’m willing to bet you would sell more cars. In conclusion, either do the research required to make a smart advertising investment or hire a marketing professional because your advertising dollars are too valuable to waste on yourself.